Now You Can Get Into ‘Flow’ In Minutes Using Our Research Backed Audio Technology That Quickly Brings You To A State Of Coherence So Your Thoughts And Emotions Are Balanced And You Experience Inner Peace, Harmony & Peak Performance At A Touch Of A Button. Even If… 1. You have no experience with yoga, meditation or breathwork. 2. Have not seen any positive results before with other tools. 3. Believe getting into peak performance flow states is impossible for you. You feel paralysed with emotional stress and feel you cannot let go of the past. You have ambitious life goals so want to be at your best all the time. You want to have deeper connection with new people you meet, friends, family and loved ones. Create A Harmonious Synchronization With Your Heart, Respiratory System and Blood-pressure Rhythms Producing An Optimum Physiological State Of Wellness In Minutes As Easy As Taking A Breath. Scientific proven method to create a state of optimum physiological efficiency in which the nervous, cardiovascular, endocrine and immune systems are working efficiently and in harmony. This is a state of optimum physiological efficiency in which the nervous, cardiovascular, endocrine and immune systems are working efficiently and in harmony. High coherence relates to peak performance and wellbeing. The heart has nerve cells similar to the brain connected to the emotional brain that is controls the emotions and physiology of the body. When we experience negative emotions or are stressed the body is not coherent and this can cause a disorder in the heart rate and nervous system leading to poor decision making ability. In contrast, positive emotions create inner harmony in the body leading to mental clarity, elevated mood, more resistance to stress and the ability to make better decisions. Your heart emits an electromagnetic field that changes according to your emotions and how your feel. Others can pick up on your emotional state through the electromagnetic energy that radiates from your heart. Your heart has a network of neurons that have both short and long term memory and the signals they send to the brain can affect our emotional experiences. Your heart sends more information to your brain than your brain sends to your heart. Coherent heart rhythms lead to more creativity, clarity of thought and both complex and innovative problem solving. Several studies conducted by the Heart Math institute have shown a general sense of well-being and improvements in cognitive, social and physical performance. In a study of high school students who practiced self-regulation techniques over a four-month period, their resting HRV was significantly increased and the pattern of the HRV was significantly more coherent. My name is Niraj Naik, an ex pharmacist turned natural health advocate, digital nomad, prolific musician and serial entrepreneur. After becoming disillusioned with conventional healthcare I suffered deeply from chronic stress eventually developing an immune disorder called Ulcerative Colitis which kept me housebound for over 10 months bringing me close to bankruptcy. Doctors told me I would be on medication for the rest of my life even threatening me with surgery until I met a dear friend & a spiritual guru who taught me ancient healing modalities based on pranayama, yoga and meditation. These simple exercises which take a few minutes each day have led me on an incredible journey across the world meeting and training with real life superhumans, himalayan yogis and some of the world’s top peak performers and therapists. This has helped me refine and develop these daily rituals that can lead to profound changes. Become Super Intuitive And Make Better Decisions That Lead To A More Successful Life. Rigorous studies have shown compelling evidence that the heart receives and processes information about a future event before the event actually happens. Using randomly selected, emotionally arousing or calming photographs the study found that not only did both the brain and heart receive the pre-stimulus information some 4 to 5 seconds before a future emotional picture was randomly selected by the computer, the heart actually received this information about 1.5 seconds before the brain received it. Participants of the study were more attuned to information from the heart when in a state of coherence which correlates to enhanced intuitive ability. Heart intelligence is the flow of higher awareness and the intuition we experience when the mind and emotions are brought into synchronistic alignment with the energetic heart. When you are heart-centered and coherent you have a closer alignment with your deeper source of intuitive intelligence. As you learn to slow down your minds and attune to the intelligence of your heart, a natural intuitive connection can occur. This helps you make more intelligent decisions from a deeper source of wisdom, increasing your ability to make the right decisions giving you better results in life. Finally Release Emotional Stress From Your Heart And Liberate Yourself From Frustration, Irritation, Anxiety And Anger In Less Than 15 Minutes A Day. Several studies have shown that increased levels of heart-rhythm coherence are associated with significant improvements in cognitive performance, reaction times, including memory and academic performance. Every cell in the body is exposed to invisible magnetic forces that can affect its function. This means solar and geomagnetic activity affects human consciousness on a global level and disruptions in these fields can have adverse affects on human health and behaviour. There is a relationship between your nervous system and resonating geomagnetic frequencies called Schumann resonances, which occur in the earthionosphere resonant cavity that correspond to alpha waves and other very low-frequency resonances in the brain. It is well established that these resonant frequencies directly overlap with your brain, cardiovascular and autonomic nervous systems. The primary frequency of 7.83 Hz was found to actually correspond to an Alpha brainwaves. Ancient mystics understood the presence of the Earth’s pulse thousands of years ago. The Chinese teachings state that to achieve perfect health, both signals must be in balance. Dr Ludwig found that this is indeed the case. He writes in his book `Informative Medizin’ that research carried out by E.Jacobi at the University of Duesseldorf showed that the one sided use of Schumann (YANG) wave simulation without the geomagnetic (YIN) signal caused serious health problems. On the other hand, the absence of Schumann waves creates a similar situation. Professor R.Wever from the Max Planck Institute for Behavioural Physiology in Erling-Andechs, built an underground bunker which completely screened out magnetic fields. Student volunteers lived there for four weeks in this hermetically sealed environment. Professor Wever noted that the student’s circadian rhythms diverged and that they suffered emotional distress and migraine headaches. As they were young and healthy, no serious health conditions arose, which would not have been the case with older people or people with a compromised immune system. After only a brief exposure to 7.8 Hz (the very frequency which had been screened out), the volunteers health stabilized again. Mankind depends on two subtle environmental signals, the Yin from below and the Yang from above. The ancient mystics also used meditation techniques to reach alpha states of awareness where their own brain activity would be in perfect harmony with the pulse of the planet. You can now reach perfect balance with the Earth’s own healing and life giving resonance by using the Heart Coherence System. The right type of music that elevates your emotions and vibrational energy brings you into coherence faster. Coherence depends on rhythmical breathing and using a drum beat is better than just visual tools found in most other coherence trainers. Get Access To 3 Heart Coherence Sessions Guaranteed To Bring You To Heart Coherence In Minutes! This is a 15 minute audio featuring a special drum beat that is timed precisely to 7.8 breaths per minute synchronising to the Schumann Resonance at 7.83hz with added Schumann waves that will train your brain to 7.83 hz giving you a multidimensional experience tuning you to pulse of the planet for heightened intuitive powers, deeper connection and for tapping into the infinite intelligence of the super conscious mind. All you need to do is to slip on a pair of headphones, relax and follow along with the easy audio instructions that will guide you effortlessly into a state of coherence in minutes. Same session as above without added Schumann waves. Recorded Video Training You Can Keep Going Back To! The issue with learning these techniques through a live workshop is that you often have nothing to refer back to after you leave the workshop. This has been an issue for me in the past too. So imagine being able to get the very best training at the touch of a button from the comfort of your own home! It’s like having me one on one in your bedroom guiding the negative stress out of your body for good! Training From The Masters & Perfected To Suit Dummies Like Me! These techniques come directly from some of the worlds most revered masters so you can be guaranteed you are learning the very best proven techniques. I have also transitioned them into a very simple step by step system that absolutely anyone can do regardless of age or ability. Trypnaural is the most advanced brainwave technology available today. It is the first choice for some of the world’s best therapists for being able to tune your brain to specific brainwave states and significantly enhance the effectiveness of hypnotic suggestions. 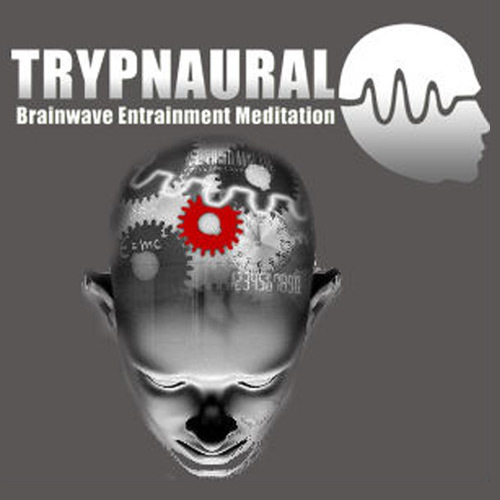 Trypnaural uses more advanced isochronic tones instead of out dated binaural beats combined with exquisite atmospheric music. Estela Rodriguez Jebril I LOVE this meditation! How wonderful. I feel so peaceful and deeply connected to that powerful, esthetic place in me, that I am. I look forward to using this every early morning. Dr Tera Maxwell Oh my God, that was so powerful!!! So much moved and opened up. It is all happening!! !